Achieve your goals with motivational recognition. We understand donor recognition. 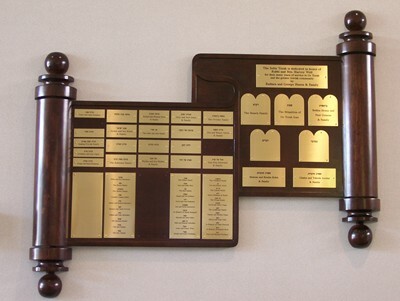 Whether you are a small congregation in need of posting names of donors to the building fund, a college or a major foundation supporting dozens of causes with huge budgets, we can help you design the donor recognition that is appropriate. Share your challenges with us and we will share solutions! 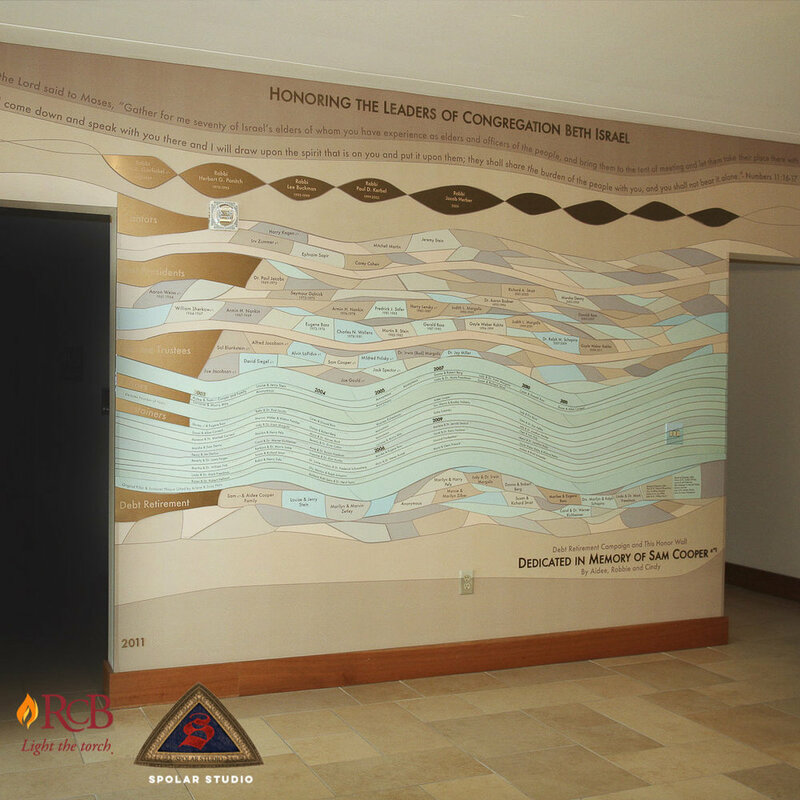 Why choose an interactive donor recognition wall? 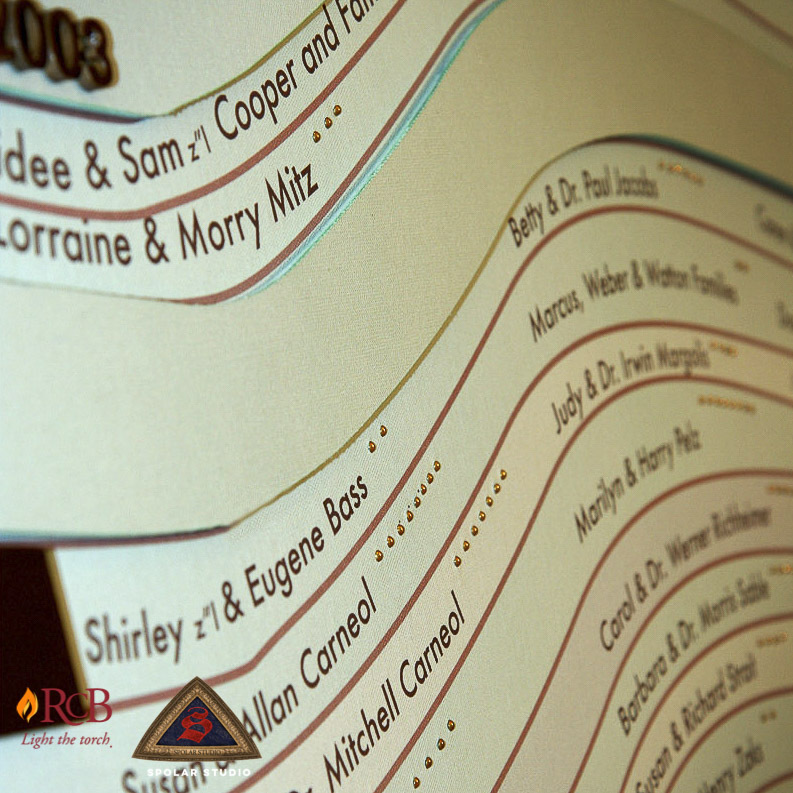 RCB Digital Donor Displays will impress your donors and attract, motivate, inform, and inspire your donors to keep coming back. 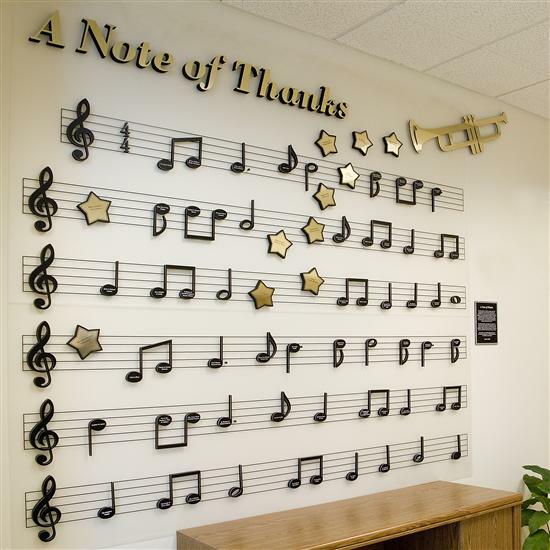 A good donor recognition wall should be a key component in your marketing campaign. 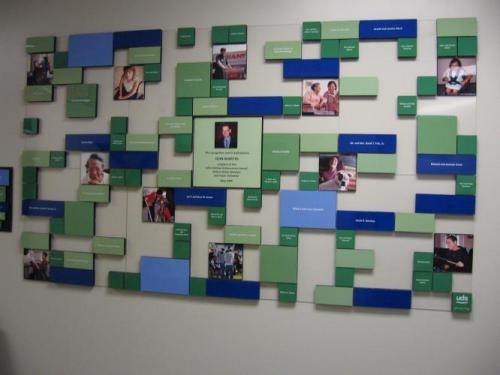 While we certainly can make beautiful traditional donor walls highlighting all of your donors, why not take it to the next level and let your key donors tell their story in their own words? 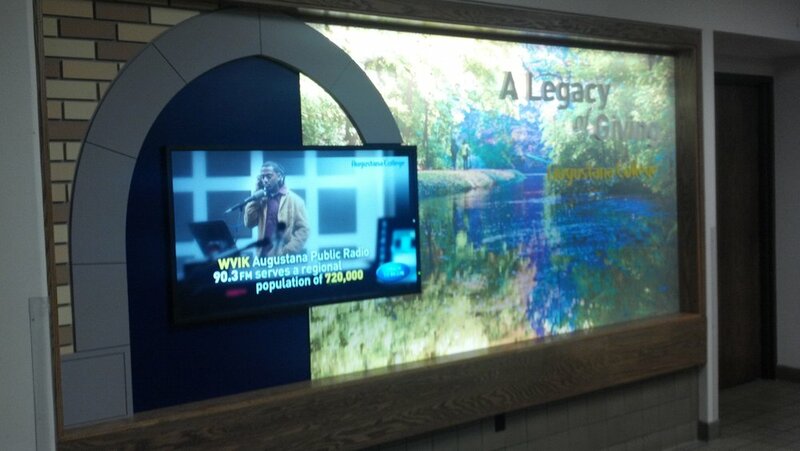 We can add an interactive flat screen display to your donor wall. Touch screen control buttons can activate the presentation by a donor, who in his own words will explain why the donation was important to him and what the organization was able to do as a result. 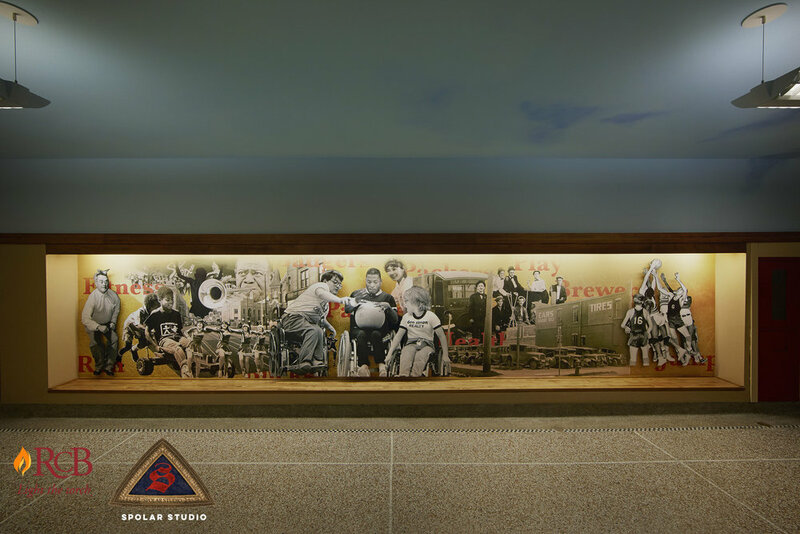 We use the latest in touch screen technology, so all a visitor has to do is touch the screen by a donor image and the screen will come to life and tell the story. A very strong way to say thanks, and get your marketing message out there. 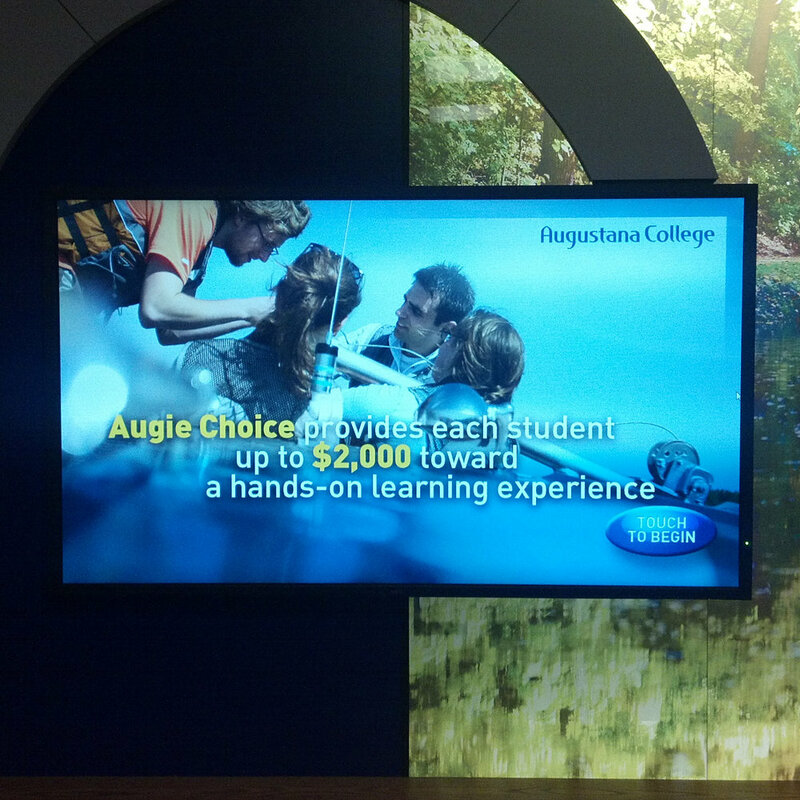 We can also use smaller monitors, in a multiple display, with a monitor for each donor. A typical aspect of Interactive Donor Recognition is an annual subscription service that is part of the package. The subscription is similar to hosting a website in cost. This ensures that your site is easy and economical to update and add donor names, as well as video and photos. 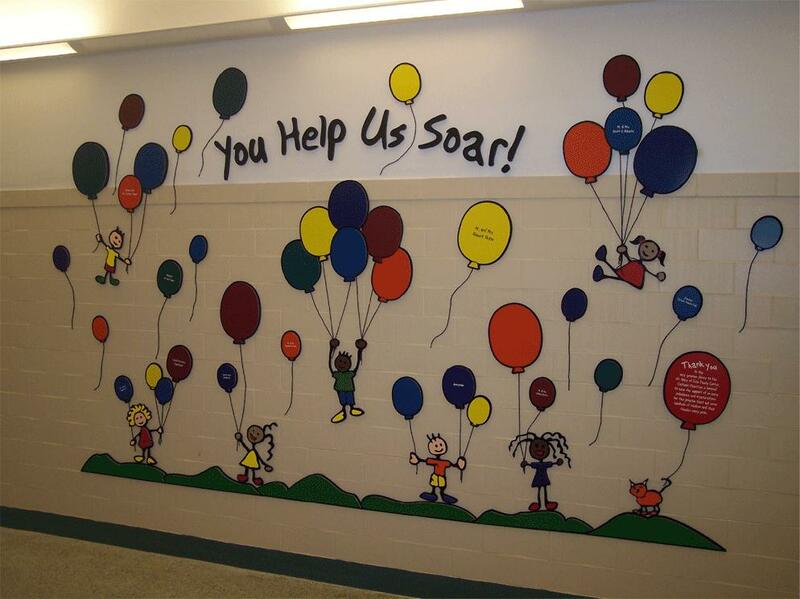 Your imagination is unlimited, so is your donor wall! 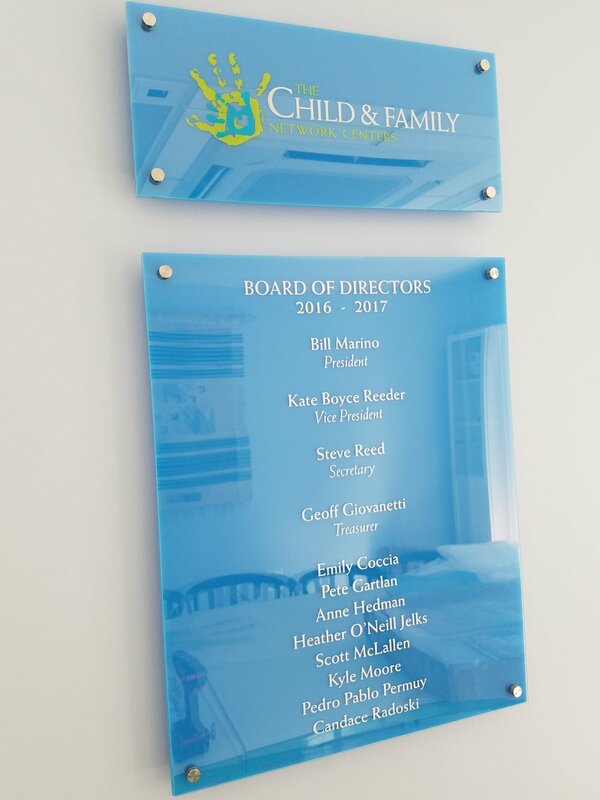 From consultation, to design, to fabrication, to installation, RCB Donor Recognition is a one stop shop for all your donor recognition needs. 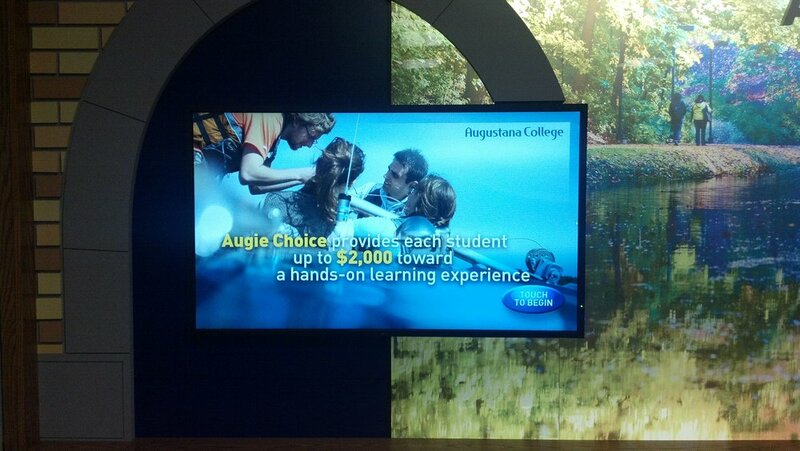 Augustana College: A Legacy of Giving This digital interactive display is uniquely Augustana, designed from the ground up to reflect their mission. 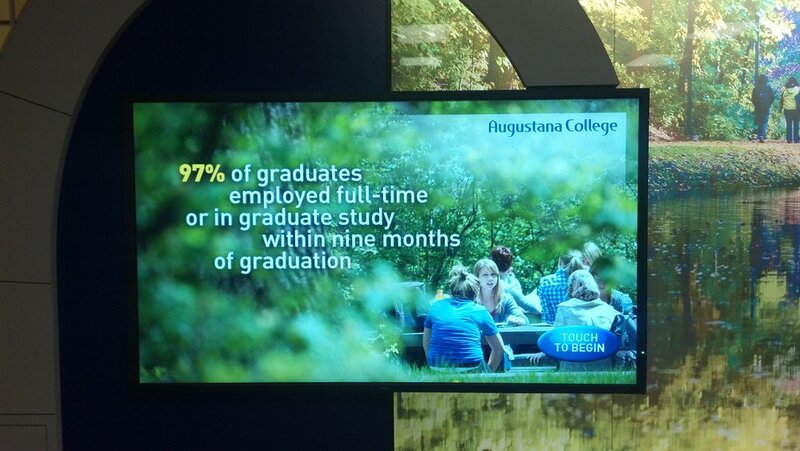 Philanthropy is an important part of the college, from new students to alumni. The hardscape is awesome! It has a film on the back of the glass, showing a bucolic scene from campus life. The inside is back lit, so it appears to glow from within. 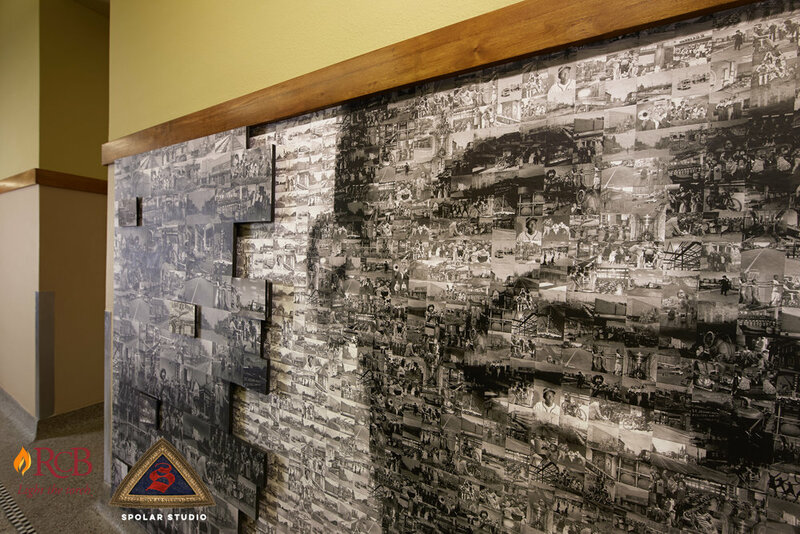 By incorporating elements from the organization's history or current mission into the design and theme of the video, it creates a sense of community with your donors. Think about your objectives in creating the program in the first place, and look at how they form and fit into the final design. Use this to differentiate your digital display from all others. Production lead time for this project is two months. 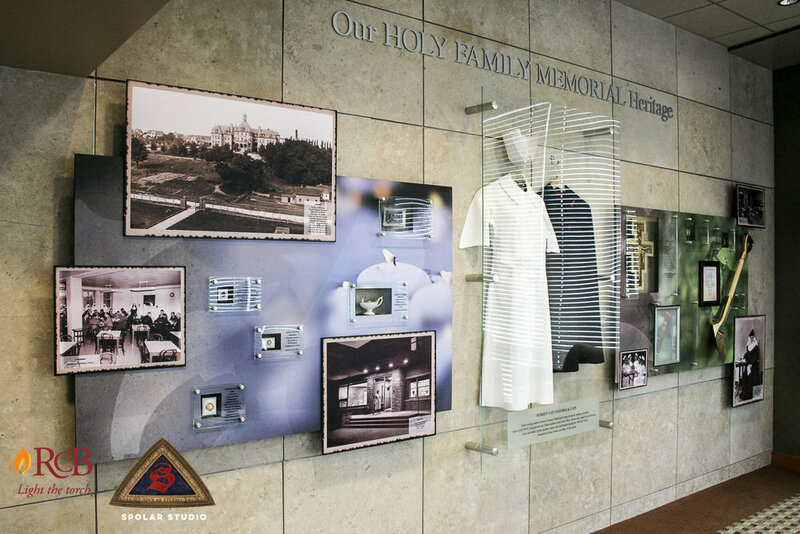 Rosalind Franklin University of Medicine and Science recently installed a Digital Donor Wall with an integrated hardscape that highlights specific campaigns. 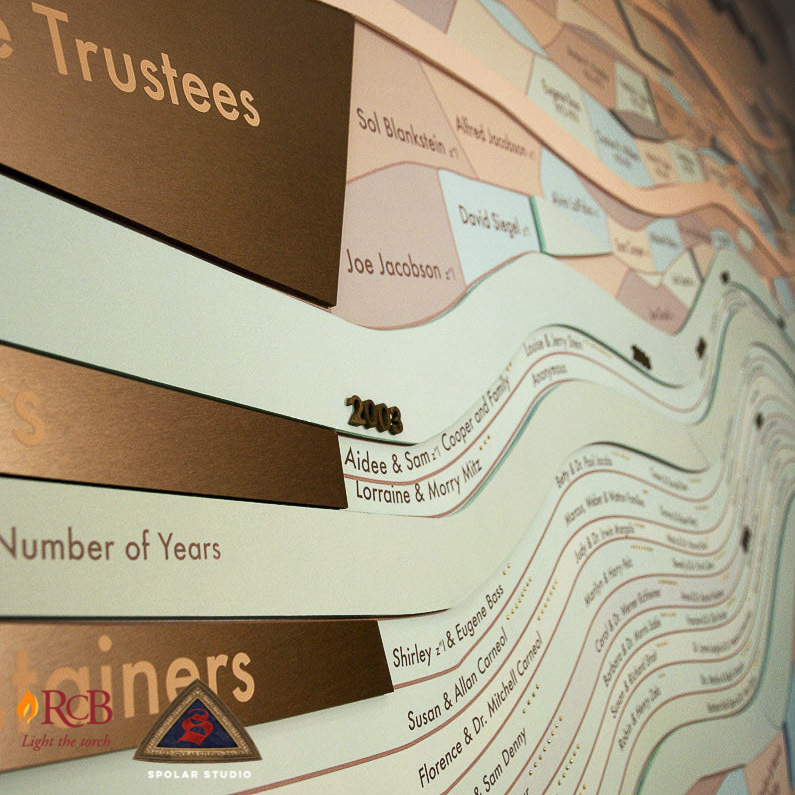 The Digital Donor Display at RFU is an excellent example of the hardscape working together with the digital aspect to create a cohesive unified display. 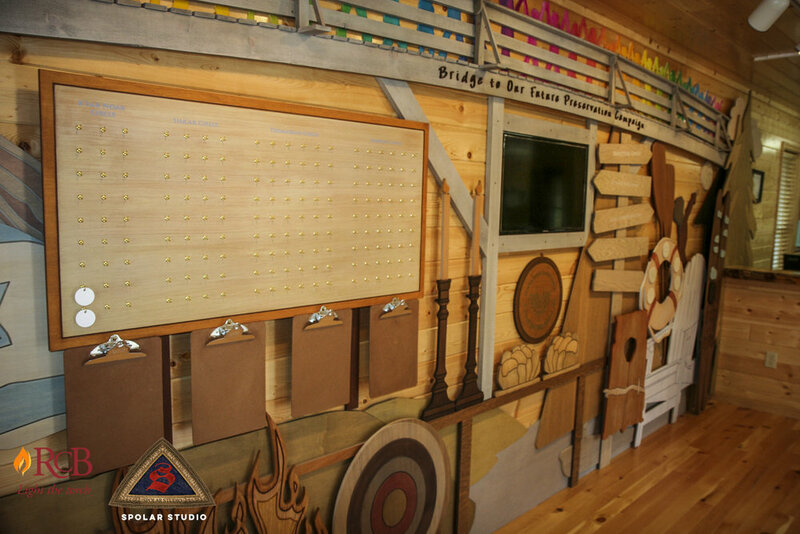 The touch screen interactive display is intuitive and easy to use. 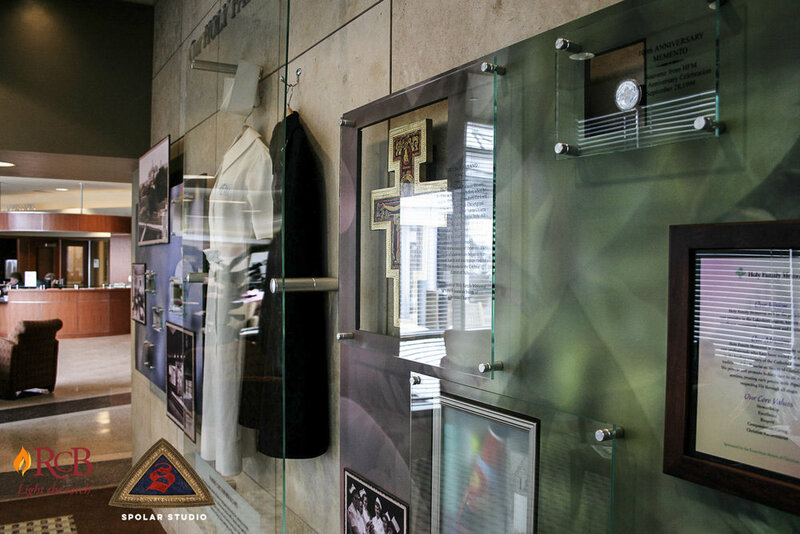 Videos, photos, donor profiles, and donor lists can be displayed - all of which can be updated by the donor relations department. 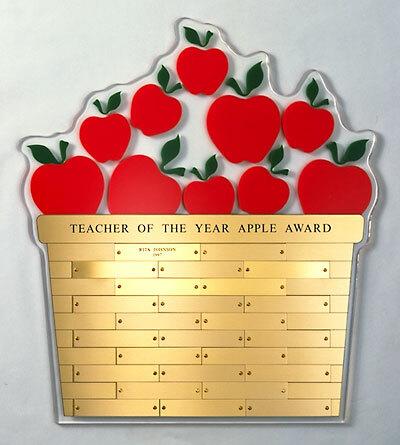 A dynamic recognition display allows everyone to participate. 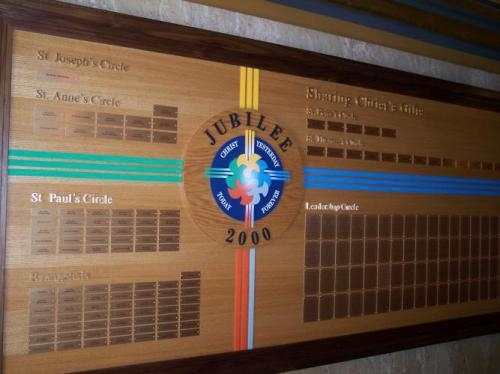 Additionally, cumulative recognition allows the donor to see and be thanked for his/her entire history of giving. 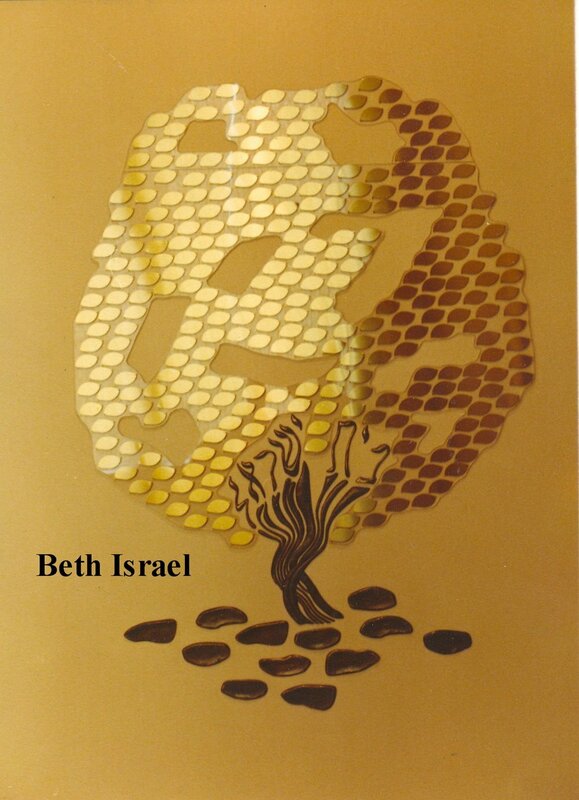 The Tree of Life is a traditional method of displaying many donor names in an attractive symbolic presentation. 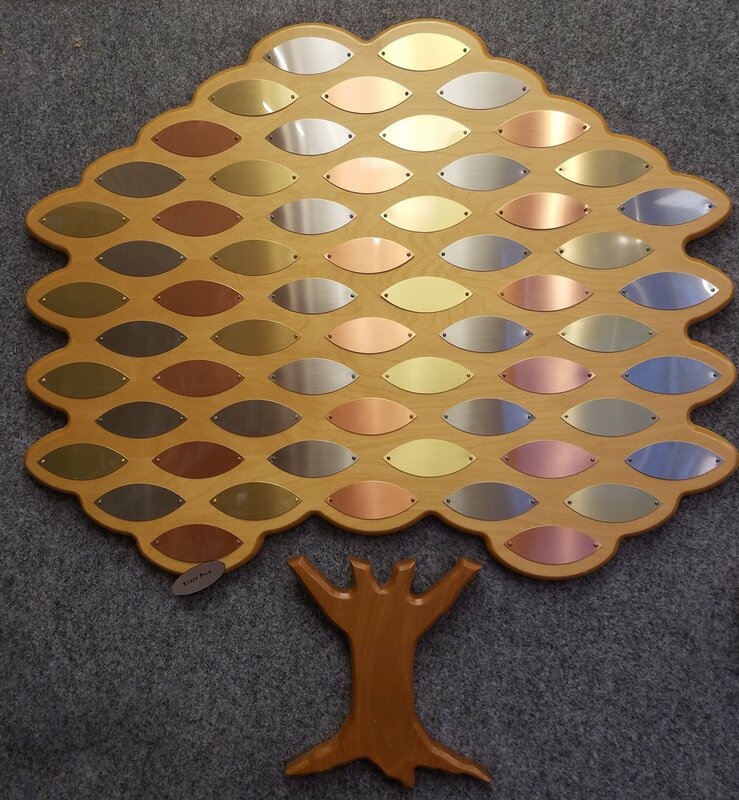 Often the tree can grow, allowing more plates to be added over time. 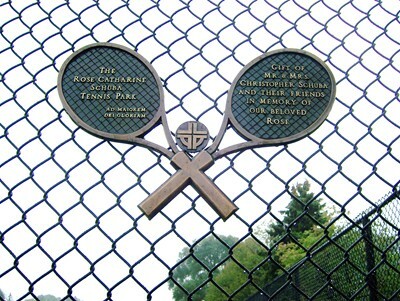 The classic design is meant to grow throughout the campaign and can support ongoing contributions for many years. 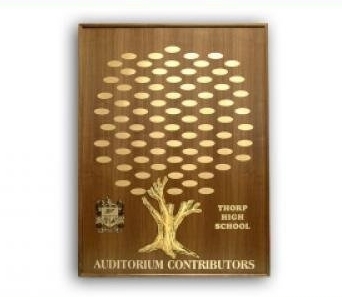 The Tree of Life allows for a large range of presentation shapes and accommodates a very large number of donors. 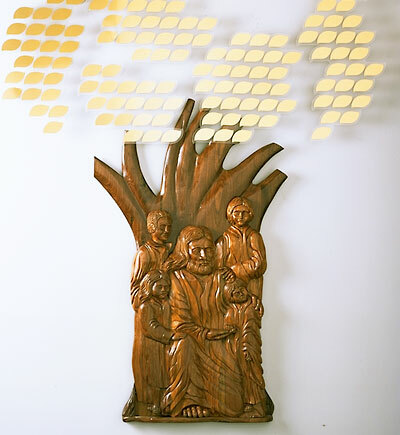 The Tree of Life is perfect for a church memorial or donor recognition program. ¾” genuine maple for the tree and ¾” genuine walnut for the trunk. 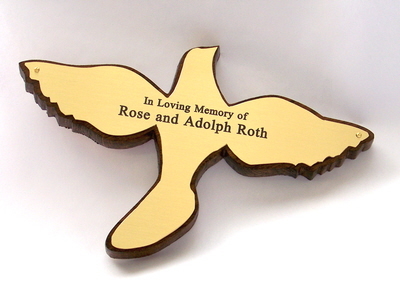 Comes with any combination of Gold, Silver or Bronze colored metal plates. 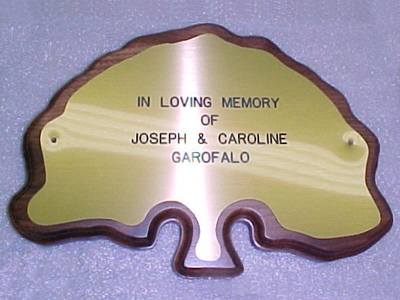 Plates can be engraved by us or any store that can engrave metal. Please call for production times. Perfect for hospitals, schools, museums, and libraries. 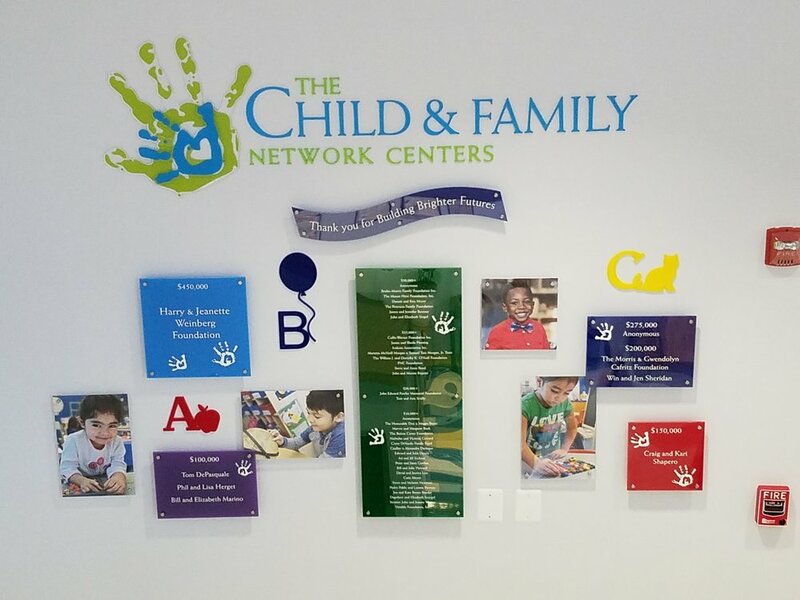 Children themed donor walls are great for recognition programs that need bright, colorful and inexpensive materials to work with. 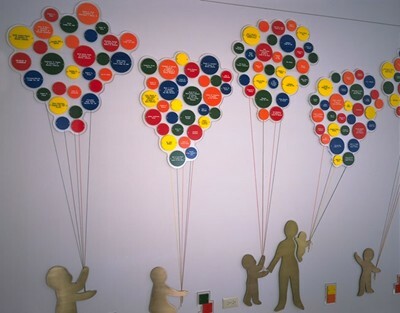 Giving levels can be designated by size of the star or balloon. 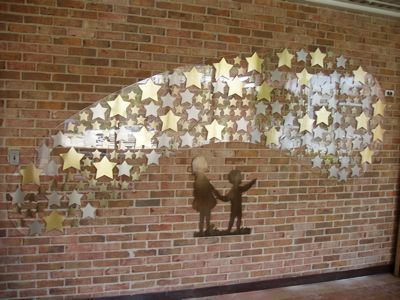 We often put the stars and balloons onto an acrylic "cloud" that is mounted to the wall. 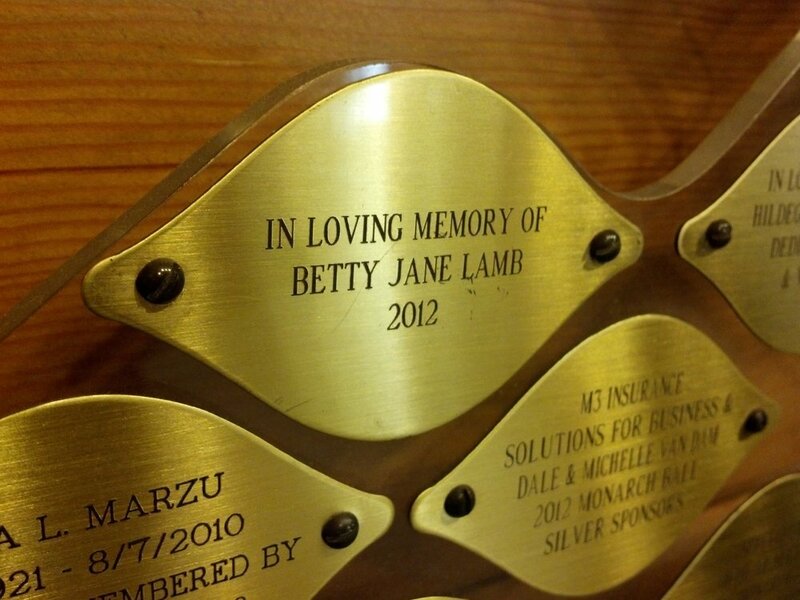 When a new donor needs to be added, unscrew two screws and send to us or your local engraver to have updated. 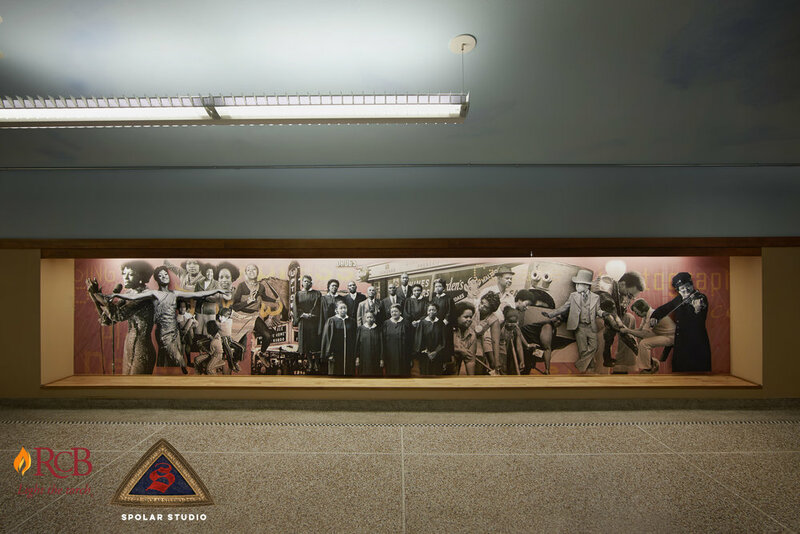 Storytelling Donor Walls are custom gallery walls that tell your story, grab your visitor’s attention and draw them to the display. 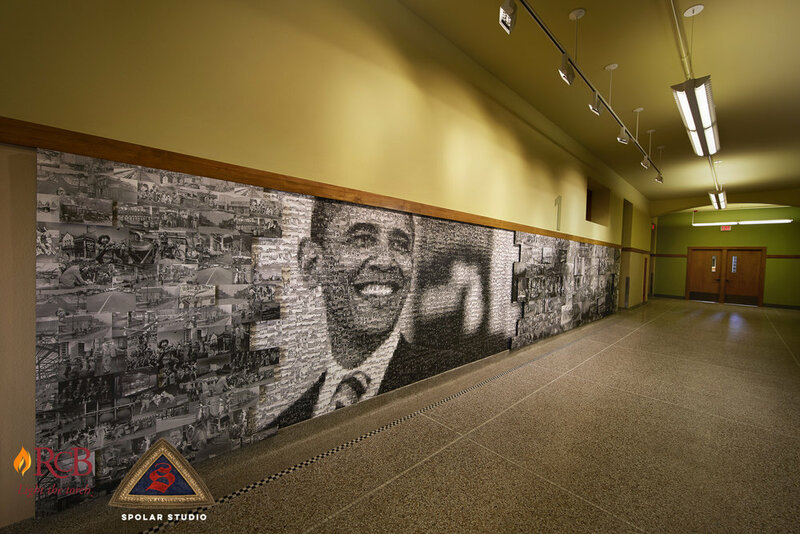 These stunning art gallery designs successfully cross that bridge between recognizing many donors, and being exciting and fun to look at. 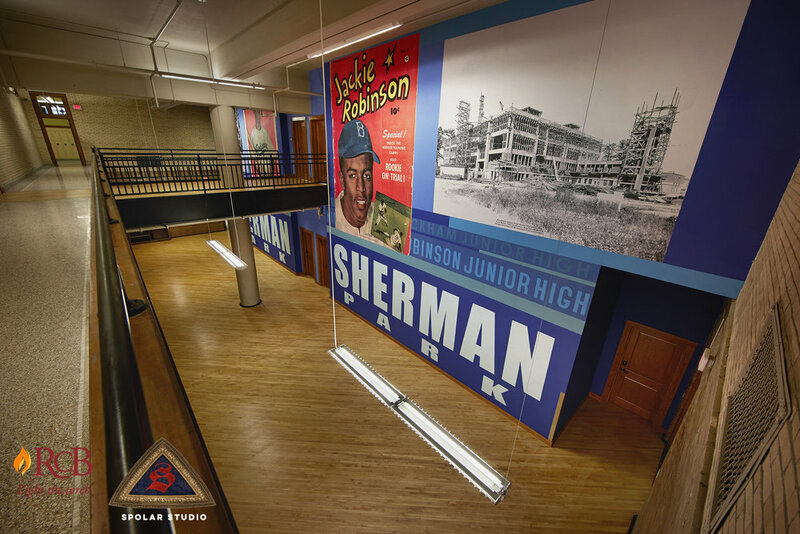 We take your history and bring it to life. 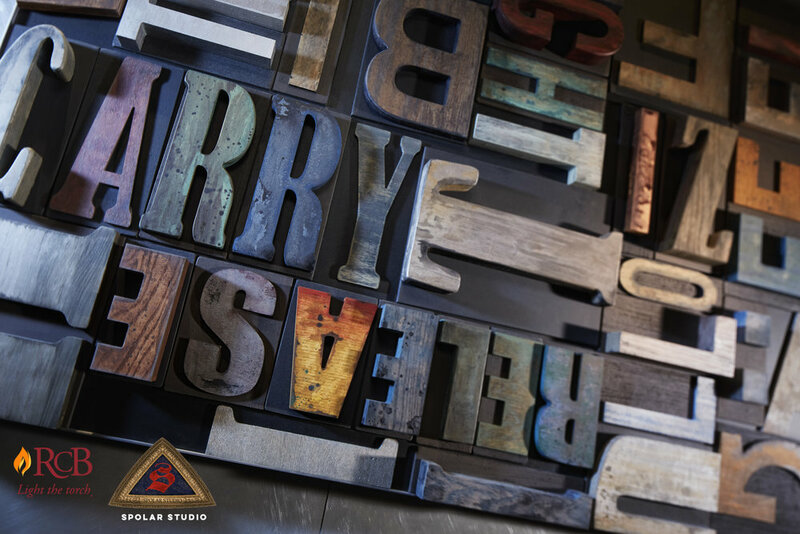 Your donors tell their story and offer a message for all to see. 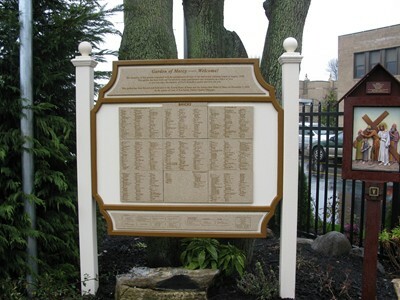 Outdoor recognition uses appropriate materials to survive the elements of weather for each location in the United States. 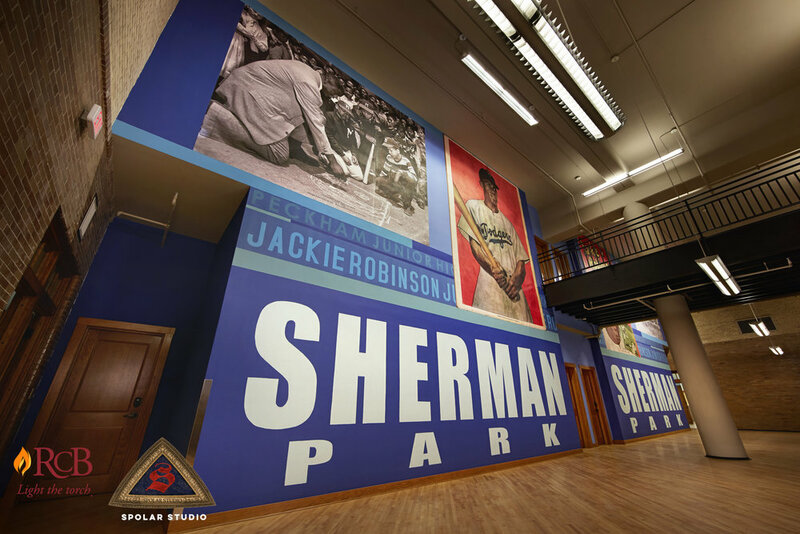 They can be larger and seen by more people than traditional indoor recognition walls. 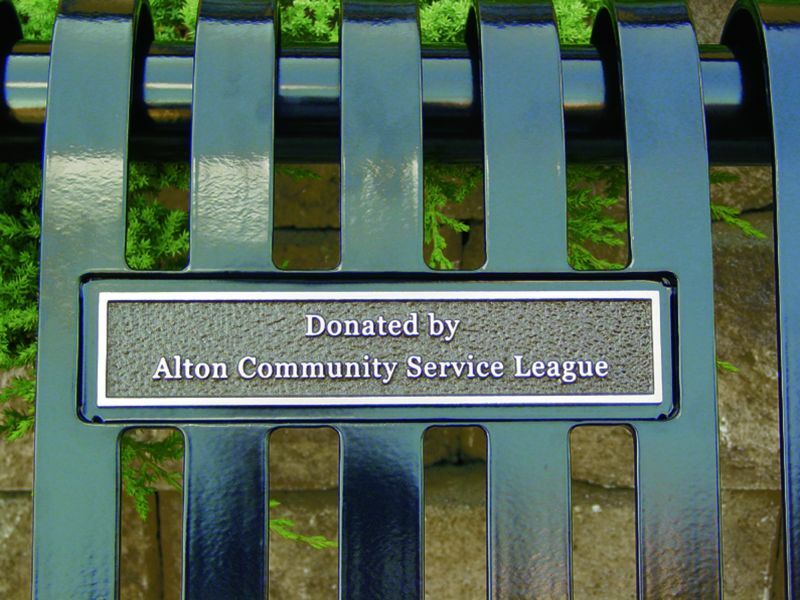 Donor Trees from RCB Donor Recognition have served as gratifying pieces to those who’ve donated their time and/or money to a cause or project. 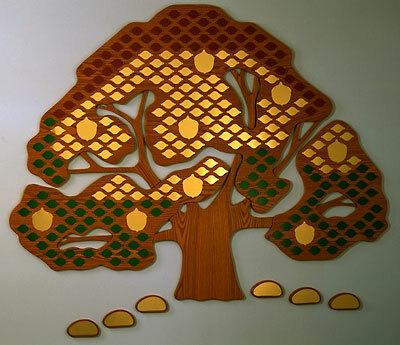 Donor trees offer unique ways of honoring donors of varying pledge values by designating certain parts of the tree based on the amount each contributor has donated. An added benefit of donor trees is that they offer plenty of room for expansion should additional people donate in the future. 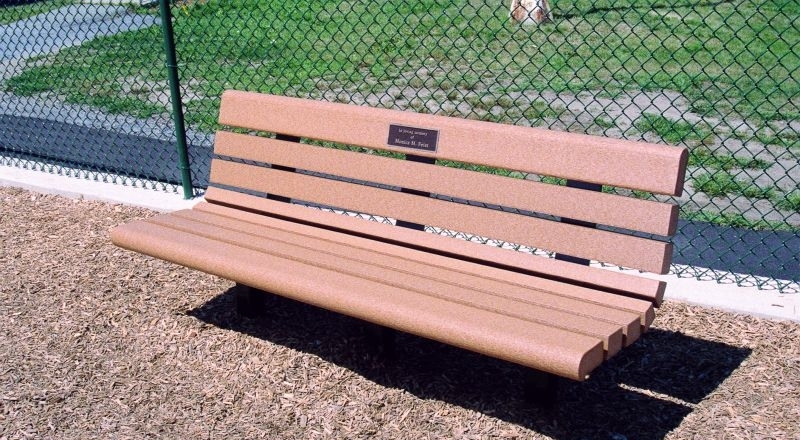 Dedicate a park bench, tree or garden area with a plaque made from solid cast bronze or etched in stainless steel or brass. 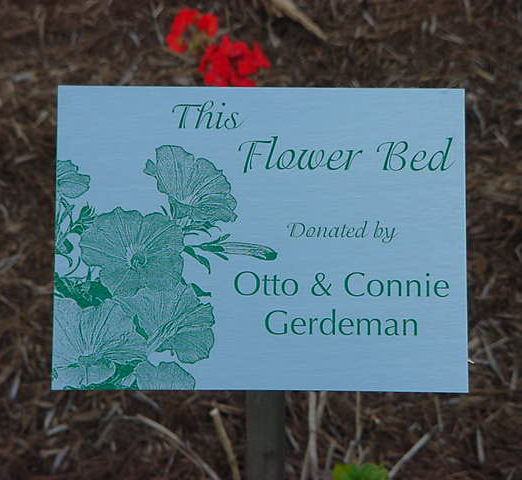 Handcrafted, our durable garden plaques can display the recipient’s name, who the plaque is from. 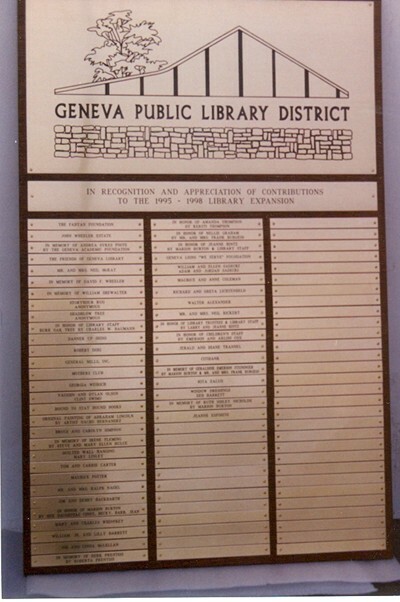 and a brief dedication statement. 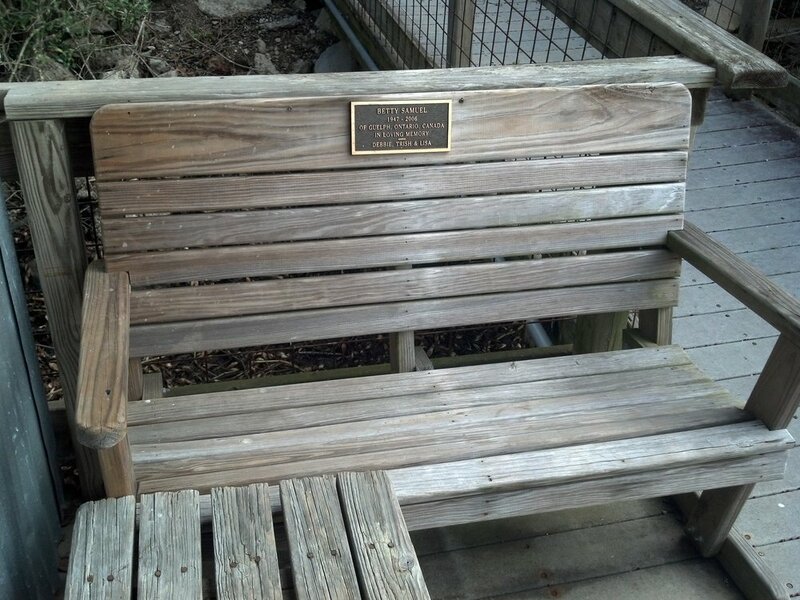 Our Donor Benches have been built with a space for a personalized plate right into the frame of the bench. 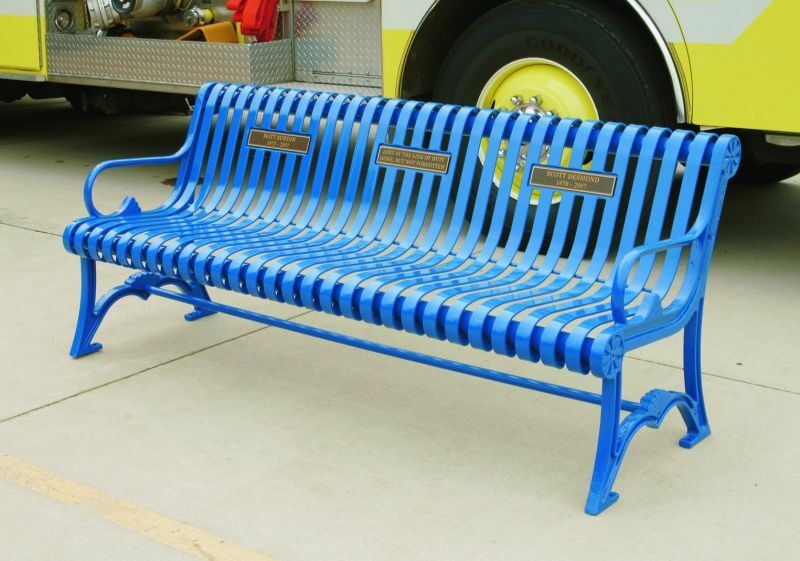 They are perfect for use in donor recognition benches, as memorials for fallen heroes and any time an outdoor recognition vehicle is needed. 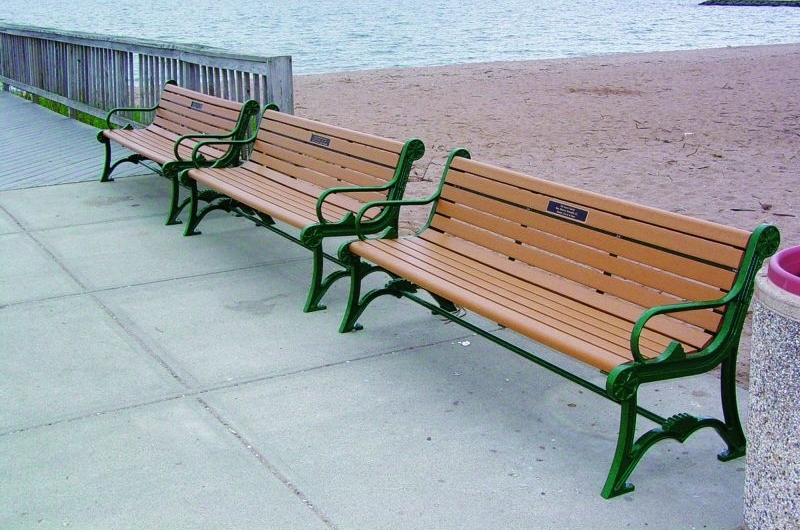 The Sponsor a Bench program is a cost effective way for communities to enhance their public spaces while allowing individuals, groups and organizations to honor and memorialize their loved ones, friends and associates. 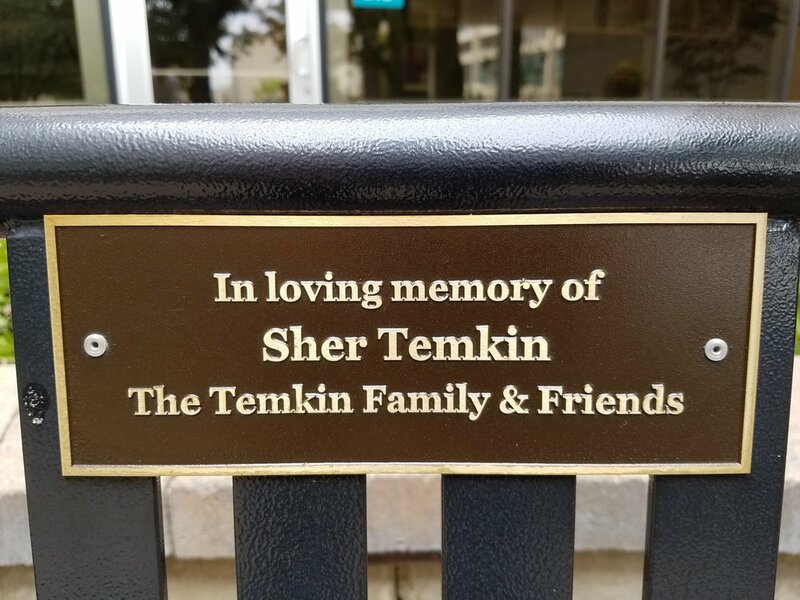 Those who choose to sponsor a bench or companion piece will pay the cost of the product and the accompanying zinc plaque which can be customized according to the sponsor's specifications. 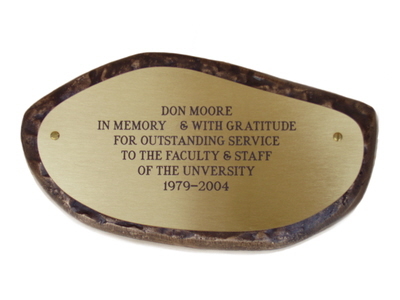 Donor Recognition Rocks with outdoor cast plaques. 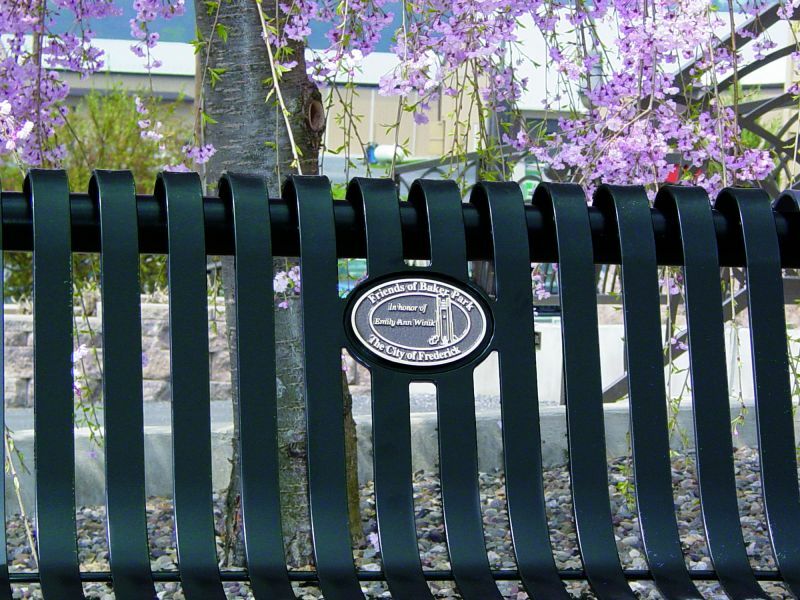 Great for donor recognition and memorial gardens. 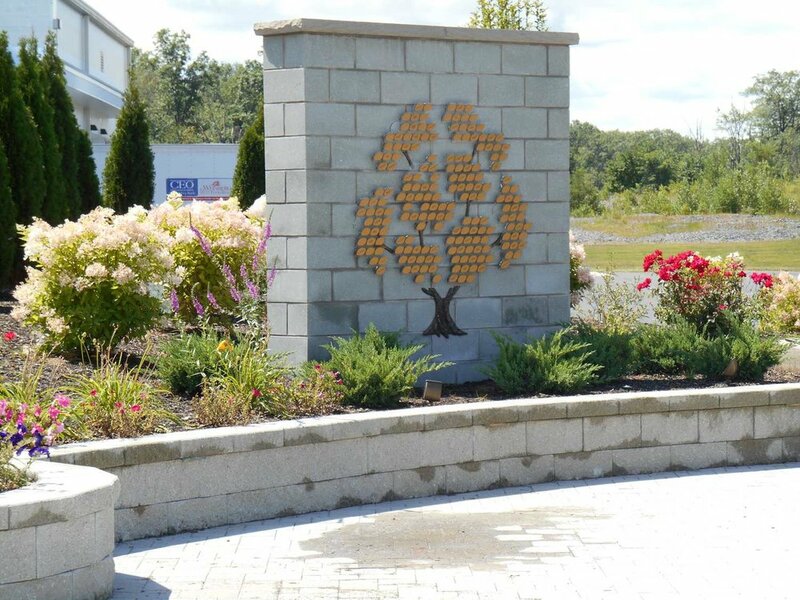 Molded from actual boulders found in the mountains, these incredibly realistic rocks are manufactured from cast stone to withstand 9,000 psi of pressure and a variety of climates with minimal maintenance and care. 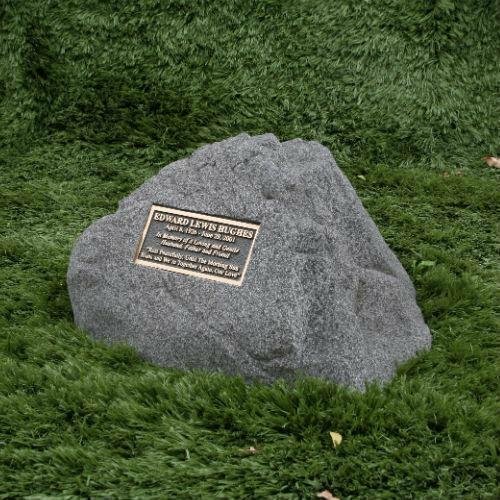 They are the practical and affordable alternative to the challenge of finding, moving and installing a heavy boulder on which to mount a plaque for dedications and memorials or to honor special events or achievements, donors, outstanding employees and civic groups, and commemorate other occasions. Our unique designs are visually appreciated. 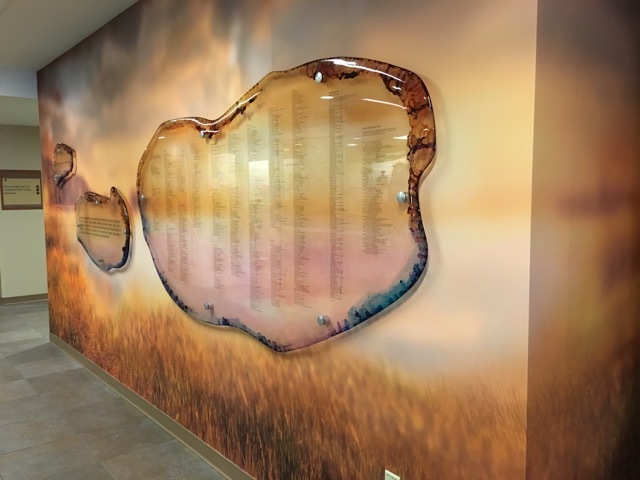 Donor walls that are designed as truly one-of-a-kind art displays will give your donors the feeling that their commitment will be noticed and remembered forever. 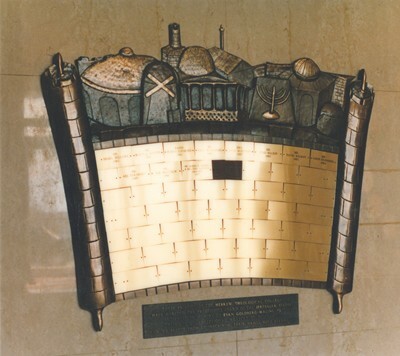 Made to survive the elements of weather for each location in the United States. Production times vary. Please call for more information. 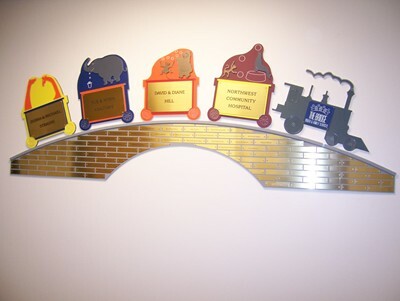 Donor Walls are commonly used in non profit areas to showcase large numbers of donors. These may be as few as a dozen, or as many as several thousand. 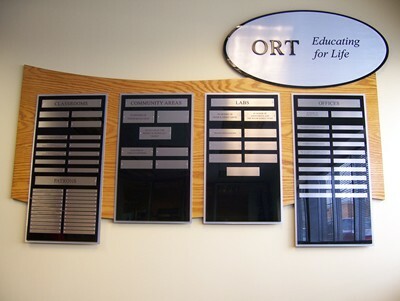 Donor recognition is a common component in the stewardship programs of hospitals, university foundations and civic projects. 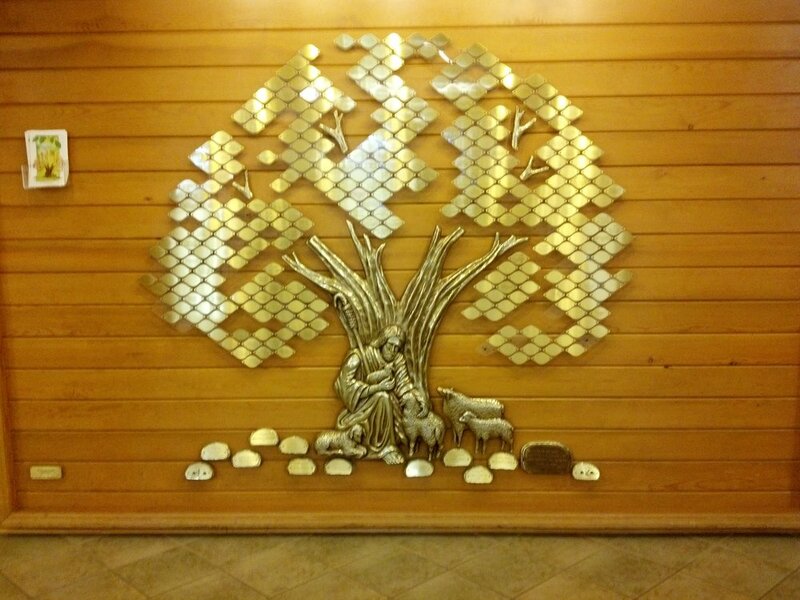 The materials used to make these masterpieces varies all over the place. Wood, glass, lucite and other composite materials are all used depending on the environment and design considerations. 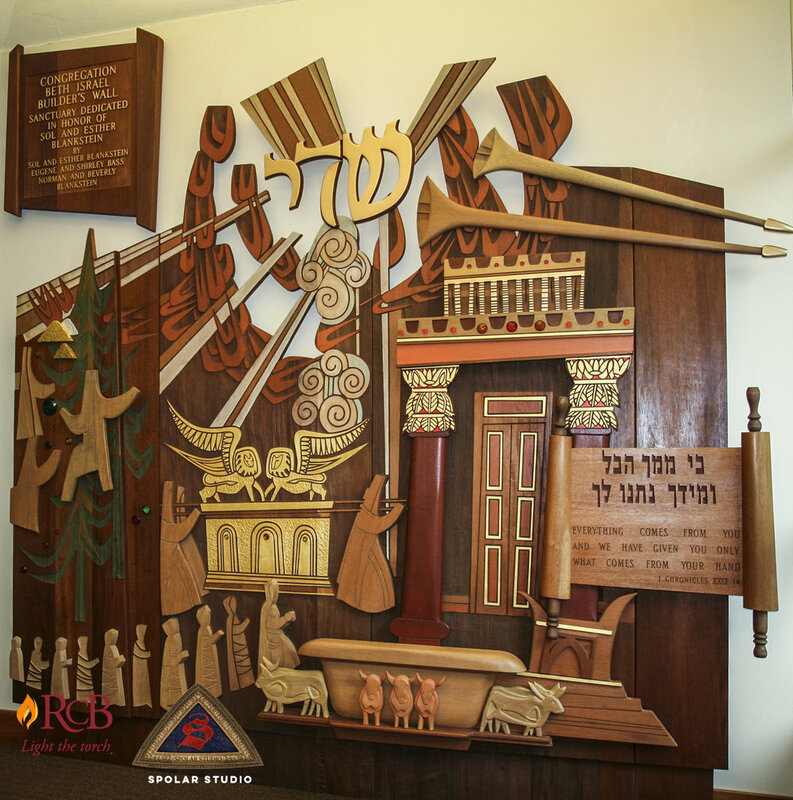 We help with design and installation, so that you don't have to worry. Donor Recognition leads to strong and lasting relationships with your organization. 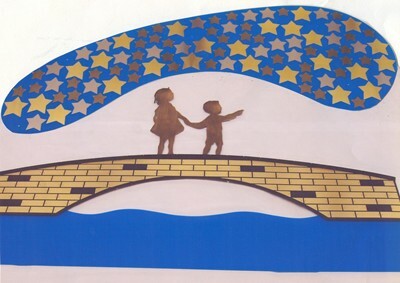 Start looking at recognition through the eyes of the donor, and see that you make it special, meaningful, and unique to each contributing individual or group of individuals. 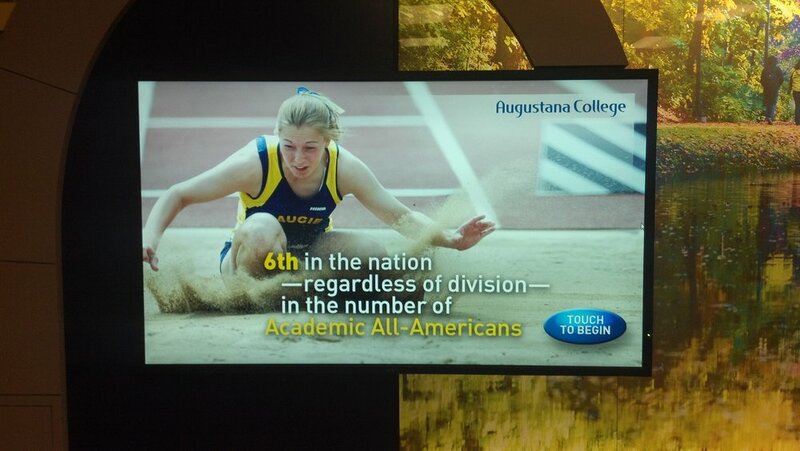 Top recognition should be prestigious and limited to a small number. 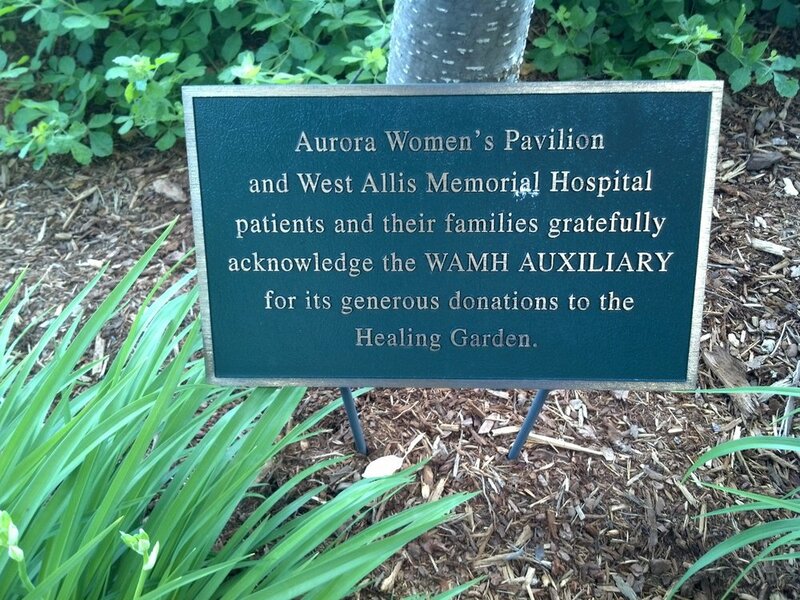 Recognition of your donors goes far beyond showing appreciation for their gift! 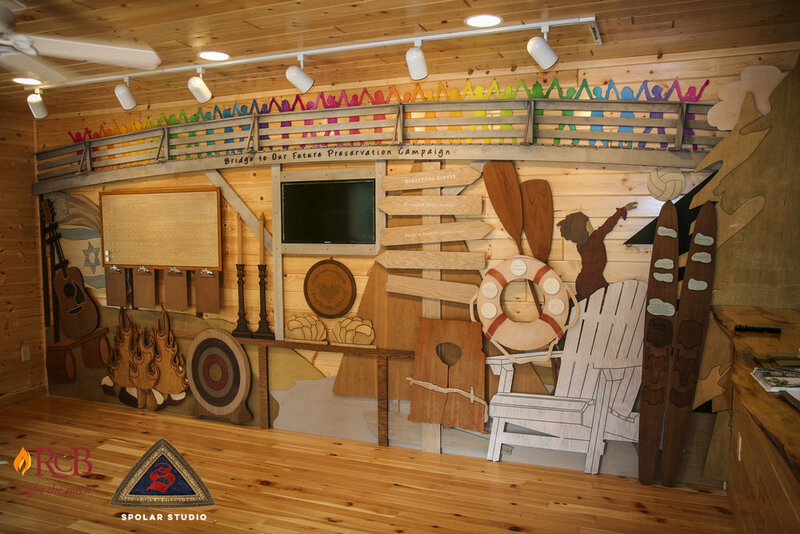 Storytelling Donor Walls designed by Spolar Studio, create custom gallery donor walls that tell your story, that grab your visitor’s attention and draw them to the display. 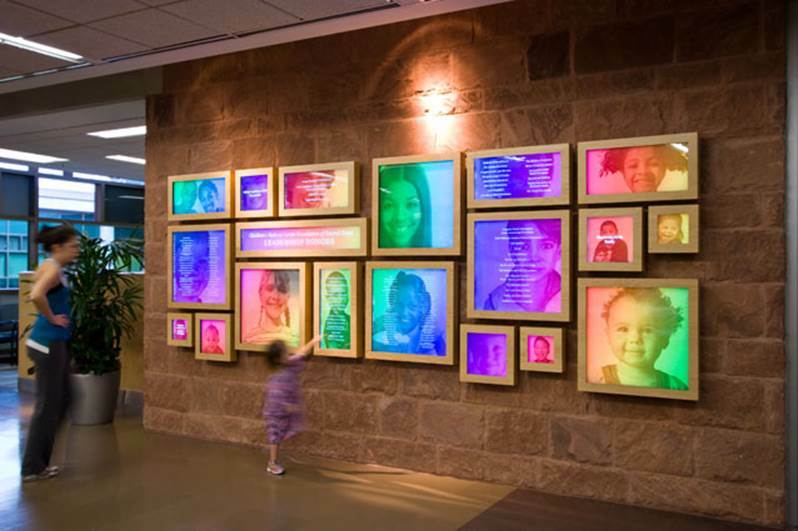 These stunning art gallery designs successfully cross that bridge between recognizing many donors, and being exciting and fun to look at. 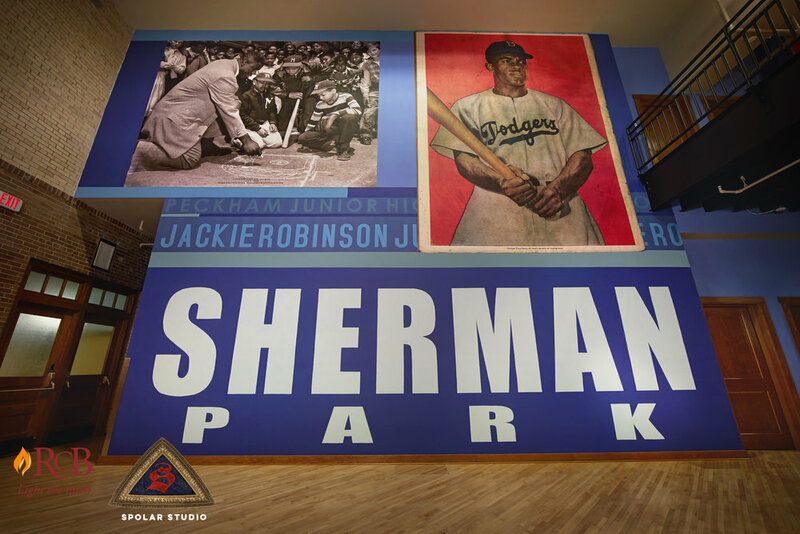 We take your history and bring it to life. Your donors tell their story and offer a message for all to see. 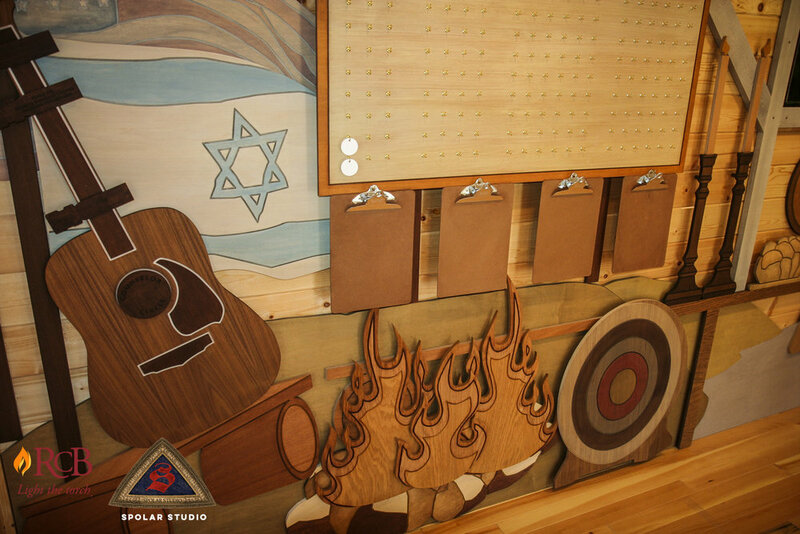 The designs shown in this section were created and produced by Spolar Studio. 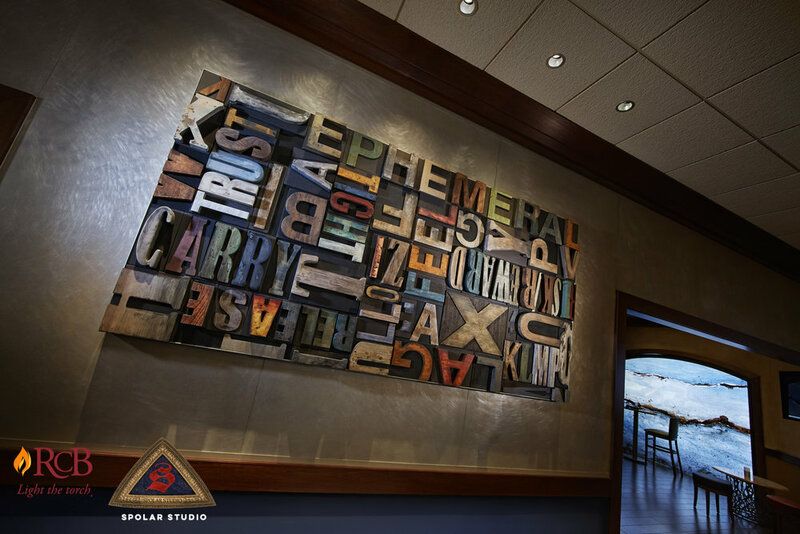 They are used here to illustrate what collaboration between RCB Donor Recognition experts and the artists at Spolar Studio could offer.